Jay completed his higher specialist training in Paediatric Ophthalmology in Southampton and Manchester and his research training through an MRC Clinical Research Training Fellowship/PhD in Ophthalmic Molecular Genetics. Jay’s research interests cover a range of disorders affecting vision in children including nystagmus, albinism, genetic disorders of the eye, amblyopia and paediatric cataract. His team combines expertise in genetics, bioinformatics, eye-tracking and clinical trials. Jay is an advisor to 4 vision charities, board for one charity, Div B representative for the UHS hospital charity, and ambassador for one foundation. He works closely with the Royal College of Ophthalmologists (RCOphth) in a number of roles including member of the genomics working group, chair of various national masterclass training courses and has represented the college for media communications. He is an advocate of public engagement in science and has delivered many public address lectures and open floor sessions for over 10 years. Jay and his team are passionate about translating research findings into clinical practice and improving the care for children with visual disorders by improving diagnostics, developing new treatments and disseminating best practice. 2011–2012 : Fellow in Paediatric Ophthalmology, Manchester Royal Eye Hospital. 2008–2011 : Senior Trainee and Honorary Visiting Lecturer, University of Southampton. 2005–2008 MRC Clinical Research Training Fellow and PhD student, University of Southampton. Jay’s research interests focus around translating research findings into changes in clinical practice leading to improvements in care for children with eye disorders. Much of his work focusses on identifying the genetic causes for inherited disorders and developing effective diagnostic workflows in order to improve the speed and accuracy of diagnosis in the clinic. He also has a number of projects seeking to identify and validate treatments for disorders such as albinism, nystagmus and amblyopia. He collaborates widely, both within the University of Southampton and with other centres worldwide in order to maximise the power and impact of his findings. 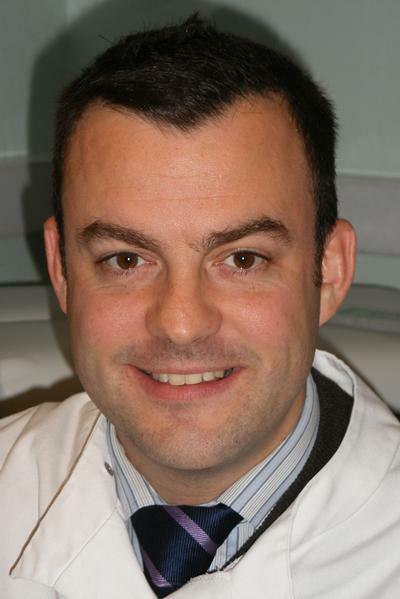 He estabolished the Southampton Paediatric Clinical trial portfolio for Ophthalmology and is PI for a variety of portfolio, non-portfolio and commercial studies. Studying the efficacy of home vision testing for children with eye disease in order to reduce the appointment burden for clinical services and families. Interrogating the association of visual dysfunction and Hypoxic Ischaemic Encephalopathy (HIE) in term infants. Understanding the role and route of support for patients and families with nystagmus in order to develop national clinical guidelines and improve support services. Acting as PI for multicentre studies of amblyopia, cortical visual impairment and nystagmus. Medical advisor to INvision, Nystagmus Network, Aniridia UK and Albinism Fellowship UK. Osborne, D., Greenhalgh, K. M., Ranger, M., & Self, J. E. (Accepted/In press). Atropine penalisation versus occlusion therapies for unilateral amblyopia therapy after the critical period of visual development: a systematic review. Ophthalmology and Therapy. British Isles Congenital Cataract Interest Group (BCCIG) (Accepted/In press). Outcomes five years after primary lens implantation in children aged under two years with congenital cataract: findings from the IoLunder2 UK and Ireland prospective inception cohort study. The Lancet Child & Adolescent Health. Ashraf, T., Shalaby, A., Mercer, C., Bolton, K., & Self, J. (Accepted/In press). The emerging ophthalmological phenotype of XXYY syndrome. Journal of Clinical & Experimental Ophthalmology, 1-9. Self, J. (2017). Nystagmus in the child with congenital cataract. In I. C. Lloyd, & S. R. Lambert (Eds. ), Congenital Cataract: A Concise Guide to Diagnosis and Management (pp. 215-223). Cham, CH: Springer International Publishing. Self, J., & Lloyd, C. (2017). The lens. In S. R. Lambert, & C. J. Lyons (Eds. ), Taylor and Hoyt's Pediatric Ophthalmology and Strabismus, 5th Edition (pp. 337-345). Amsterdam, NL: Elsevier. Self, J., & Lloyd, C. (2013). The lens. In C. S. Hoyt, & D. Taylor (Eds. ), Pediatric Ophthalmology and Strabismus, 4th Edition (pp. 329-338). Oxford, GB: Elsevier. Self, J. E., Tan, N., Rufai, S., & Borbara, R. (2015). Evaluation of the corneal endothelial cell morphology in the paediatric age group using specular microscopy. Poster session presented at Annual Student and Trainee Ophthalmic Conference (ASTOC) 2015, United Kingdom. Examiner and exam writer for the International Council of Ophthalmology (ICO) training paediatric ophthalmologists in over 80 countries.